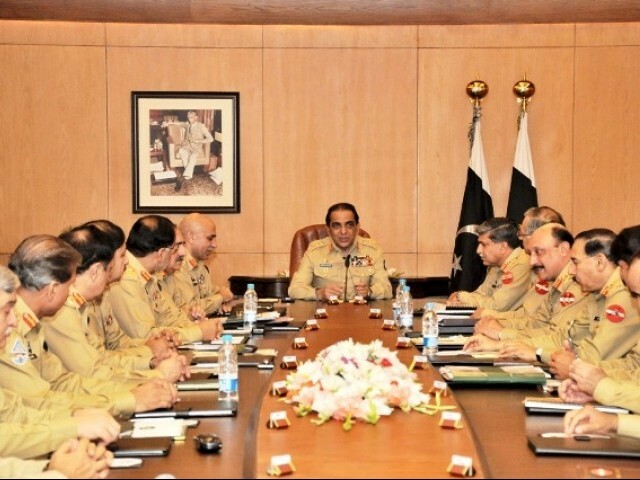 Chief of Army Staff Ashfaq (COAS) General Pervez Kayani is likely to call a corps commander’s meeting next week to consider the promotion of two-star generals. According to defence sources said as many as six most senior two-star generals are in line to get promotions to the next rank in Pakistan Army. The posts of three-star generals have fallen vacant following the retirement of Director General ISI Lieutenant General Ahmed Shuja Pasha, Lieutenant General M Awais, and Inspector-General Communications Lieutenant General Tanvir Tahir in March. The ERRA chairman, Lieutenant General Sardar Mehmood Ali Khan will be retiring on Saturday. Following the retirement of four lieutenants general while the fifth will be retiring this week, majors general on top of the seniority list are hopeful of getting promotions as three-star generals. Major General Raza Mohammad (ISI) is the most senior on the list of two-star generals and has excellent service record and credentials. Former Defence Attache, to the US and Inspector-General Evaluation Major General Khawar Hanif is second on the seniority while Major General Maqsud Ahmed, who is presently working in the ISI, is at number three position. General Officer Commanding (GOC) Sialkot Major General Zubair Hayat stands is on fourth place on the seniority list while Major General Farrukah Bashir is at number five on the list. Vice-Chief of General Staff Major General Wajid Hussain at number six position on the seniority list of majors general. Defence sources said that COAS had the discretionary powers that he could always use in the selection of suitable candidates for promotion. This entry was posted in News and tagged Army, COAS, Kayani, Pak Army, Pakistan Army, Promotions. Bookmark the permalink.